Taking care of yourself, both mentally and physically, should be on the top of your to-do list. It might be hard to remember sometimes but YOU are your number one priority. I want to point out that I’m not talking about exercise for weight loss here. Sure, that’s a great result of working out if you’re wanting to lose some extra pounds, but I’m talking about exercise for overall health. Studies show that exercise reduces the risk of heart disease, cancer, high blood pressure, diabetes, and other diseases. It’s also proven to reduce stress, lift your mood, and help you sleep better. If you’re not used to taking care of your body with exercise, it can be really difficult to start. You think about having to pause your 4th consecutive episode of Riverdale, put on a sports bra, and get sweaty … ummm, no thanks? 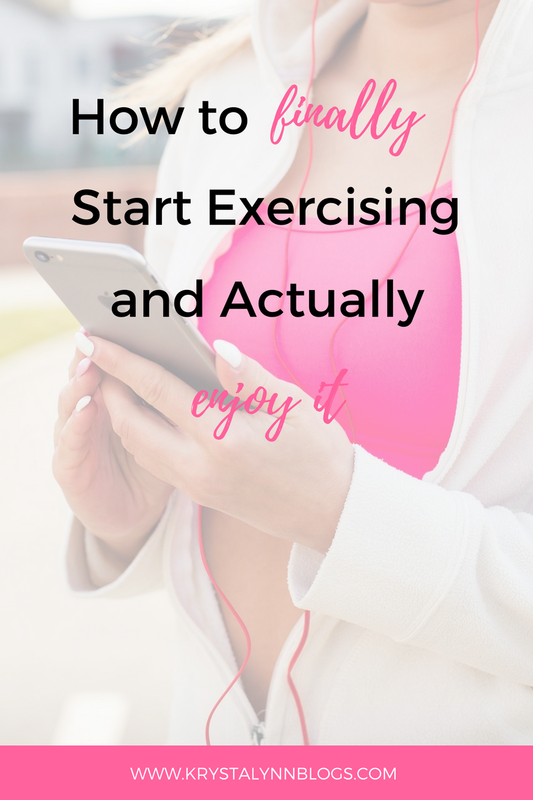 I have to admit that I’m currently having a difficult time getting back on the exercise track myself, so there’s no better time like the present to share some tips on making exercise more enjoyable! Athleisure is my favorite fashion trend right now. You can’t walk into most clothing stores without seeing a pair of bright workout tanks or cutting edge leggings. Go out and get yourself something you’ll want to put on to exercise! I have a drawer FULL of workout clothes (they were from my athletic days and they no longer fit me but that is beside the point … lol). Even though I canceled my gym membership and nobody but me will see what I’m wearing, I still want to feel good in in my workout clothes. It’s not about dressing good for other people, it’s about feeling good for yourself. My favorite place to score great deals on workout clothes is Old Navy. Working out with a buddy will make it 10x’s more enjoyable. Call up a friend and ask if they want to go for a hike, bike ride, or swim. Also, if you make an exercise date with a friend in advance, you’ll be less likely to back out because you have someone counting on you. You’d be surprised how many people are trying to be more healthy, so ask around your social circle - I’ll bet you’ll find someone with the same goals as you and you could keep each other accountable to your goals. For the longest time I would just listen to whatever was on my phone at the time, but when I made the choice to search for, or create, my own workout playlist, it made a HUGE difference. Music can pump you up and create that adrenaline rush you’re looking for to motivate you to work out. My current “running song” is When You’re Gone by VERITE! If you listen to some upbeat tunes 15-30mins before your scheduled workout it won’t be as difficult to get it done. Here's a great Spotify playlist to get you started! Pick something you’ve wanted for awhile or something you enjoy and don’t let yourself have it until you get a workout done. I’m not talking about a “cheat meal” here or anything like that. I used to tell myself I could have pizza or ice cream if I got my workout done but then I realized that 1) It completely defeats the purpose of me sweating out toxins if I’m just putting more crappy food in my body afterward and 2) I’m not a dog. I do not need to be rewarded with food. A friend of mine told me that she would only watch a certain Netflix show when she was on the stationary bike. This is GENIUS! You can do the same thing with a Podcast or Youtube videos or anything you can have access to on your phone or tablet. You can even make bigger incentives for yourself. 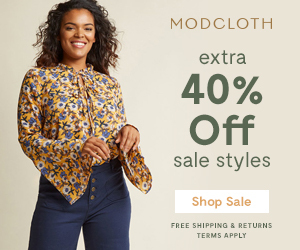 Plan a big purchase (a trip, new laptop, camera, etc.) for yourself ONLY if you keep up with your workouts for a certain amount of time. It’s a lot harder for me to get things done if I feel it’s expected of me. When I started working out again I needed to take all the pressure off. If I only wanted to go for a 15-minute jog instead of a whole 30 - that’s fine! If I could only make it through half of a workout video - no problem. There are no rules. You can do whatever you want. Don’t make yourself feel guilty for not being able to, or even wanting to, workout for hours and hours and hours. You don’t have to be into the whole CrossFit thing if you don’t want to be, you don’t have to run on a treadmill, you don’t have to lift weights 5 times a week. You just have to do what you want. It’s that simple. There are so many different kinds of exercise out there. 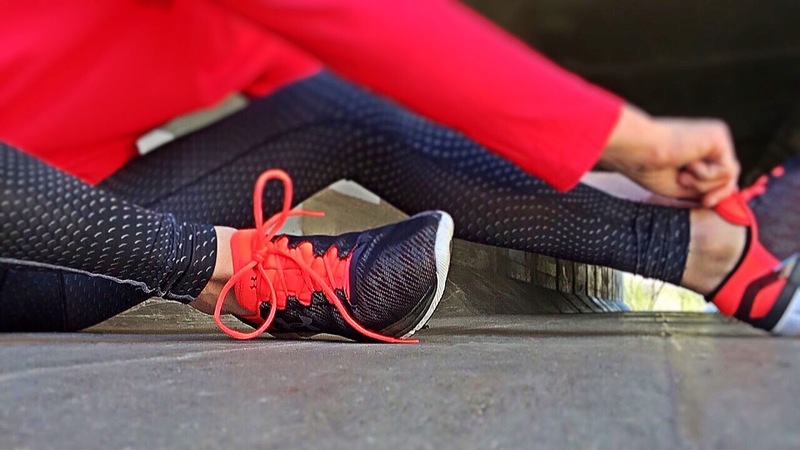 If you’re new to working out, test some things out! Most gyms or fitness clubs will offer discounts to first time members or even have free trial offers. Take advantage of these. Exercise doesn’t have to be boring or repetitive. You can mix it up as much as you want. If it’s a beautiful summer day, go for a swim with some friends. Feeling a little sluggish? Try some yoga instead of doing HIIT. In a social mood? Try a Zumba class at a local gym. If you do some research and try different things, you’re bound to find something that you enjoy or can fit in with whatever mood you’re in. What type of exercise do you enjoy the most?